The Nigerian Communications Commission (NCC) has expressed its readiness to support the academia in the pursuit of research and innovation that are ICT inclined, and has channelled funds to universities to encourage advanced innovation in the country. The Executive Vice Chairman, NCC, Prof. Umar Danbatta, said this in Lagos, during the Second Roundtable with Academia, industry and other stakeholders for the South West Region. The two-day event, which held at the Tayo Aderinokun Hall, University of Lagos (UniLag), had about 100 participants, mainly from the academia, who deliberated on different measures that can facilitate research developments in Nigeria. Danbatta, represented by the Executive Commissioner, Technical Services, NCC, Ubale Maska, said the Commission had partnered with universities to boost research and development in innovation. According to him, the advancement of technology across several spheres of human endeavour had created new industries, opportunities, new knowledge areas and challenges, and has increased the speed at which alignment between the different stakeholders in the economy takes place to ensure no aspect of development is left lagging. “Innovation is seen as a way to breakout from the old and embrace the new technologies. ‘Innovate or Die’ is a slogan used by many business enterprises. To survive, the industry needs to embrace innovation. “Innovation to telecommunication companies can be a linear machine to deliver what they deliver best. Every telecommunications provider will aspire to transform into that new agile future-looking telecommunication company. “I am glad to say that our universities are making good progress in Information and Communication Technology research and development,” he said. Noting that the academia is a key driver of innovation in all spheres of human endeavour, he said the ideas, inventions and improvements that emanate from the academia were required by the industry for improved efficiencies and productivity. He identified the growth of new technologies such as Internet of Things (loT), Artificial lntelligence (Al), and cloud computing, coupled with increased delivery of speed by various broadband technologies like 4G and 5G technologies, advancement in processor and other eletronics technologies with huge opportunities and risks. 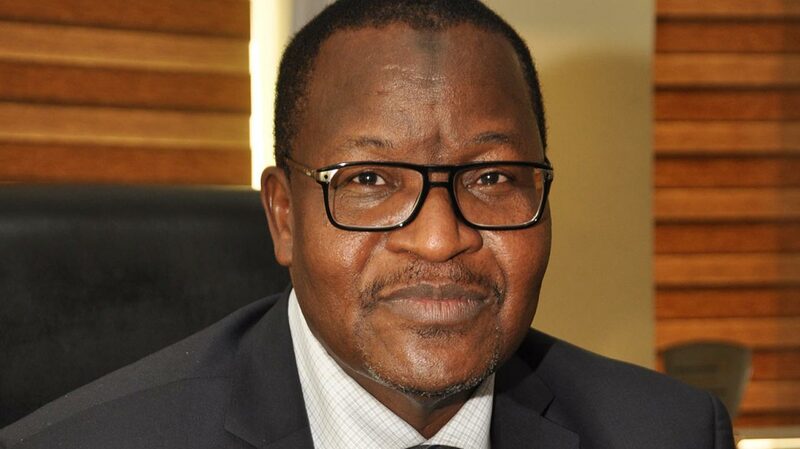 “Hence, the need for collaboration between academia, industry and regulators to ensure these technologies can be properly harnessed and standards built in such a way that is beneficial to all stakeholders,” Danbatta said. Representing the Vice Chancellor, University of Lagos, Prof. Oluwatoyin Ogundipe, the Deputy Vice Chancellor, Academic and Research, Prof. Ołuwole Familoni, commended NCC for recognising the academia contributions to the industry growth and sustainability. While appreciating the NCC for donating over 110 computers to UniLag, he stressed the need for more collaboration between government institutions and the academia. To NCC Deputy Director, Technical Standards and Network Integrity, Bako Wakil, the Commission seeks to promote synergy between the academia, industry and the regulator to facilitate innovation, industry growth and sustainability. He said technology had become the driving force that was unleashing new ways of doing things in an unprecedented manner, adding that how the telecommunication sector advances, and how it does so in a sustainable and ethical way should by the concern of all. “As a consequence, the NCC’s vision of what this forum should achieve is that Nigerians become an integral part of the global ICT community; contributing our quota to advances in ICT globally. “Over the years, the industry has experienced a remarkable growth. Recent forecasts by Insight Research Corp. shows that worldwide telecommunications industry revenue will reach $2.4 trillion in 2019. “Consumer demand for the latest wireless devices and higher bandwidth are driving the growth in telecommunications service, while the shift to cloud-based solutions is enriching the value of the networks. “A large percentage of business activities now depend on these mobile devices and network applications for everything from electronic commerce to navigation to consumer service,” he said.